Isn’t it amazing that being made in God’s image, we are also spiritual beings? The fact that we are able to be reborn spiritually, and with God’s Spirit in us is amazing beyond explanation or comprehension. This can only come from God. We can’t intellectualize ourselves into the Kingdom or just make a statement and then do nothing or have nothing to show for it. God made all sorts of wild animals, livestock, and small animals, each able to produce offspring of the same kind. Then God said, “Let us make humans in our image, in our likeness. I will give you a new heart and put a new spirit in you. I will remove your stubborn hearts and give you obedient hearts. I will put my Spirit in you. I will enable you to live by my laws, and you will obey my rules. However, he gave the right to become God’s children to everyone who believed in him. These people didn’t become God’s children in a physical way-from a human impulse or from a husband’s desire to have a child. They were born from God. Flesh and blood give birth to flesh and blood, but the Spirit gives birth to things that are spiritual. Don’t be surprised when I tell you that all of you must be born from above. The wind blows wherever it pleases. You hear its sound, but you don’t know where the wind comes from or where it’s going. That’s the way it is with everyone born of the Spirit. Those who obey Christ’s commandments live in God, and God lives in them. We know that he lives in us because he has given us the Spirit. We know that we live in him and he lives in us because he has given us his Spirit. We have seen and testify to the fact that the Father sent his Son as the Savior of the world. God lives in those who declare that Jesus is the Son of God, and they live in God. Being born again is not only a confession. D.A. Carson says, “Where there is new birth, you will always see the results.” [Emphasis is his.] New birth has not necessarily taken place because “somebody’s made a commitment to Jesus.” Where there is new birth–where it has genuinely come from God–you will see transformation. You will see change in the life. That does not mean that people have suddenly reached perfection: we shall have more Christian growth and Christian failures in due course. But where new birth takes place, there is a change of direction, or origin. There is a cleaning up in the life. There is a transformation. There is a beginning of life from God himself that shapes our existence in a new direction. You give glory to my Father when you produce a lot of fruit and therefore show that you are my disciples. As all of us reflect the Lord’s glory with faces that are not covered with veils, we are being changed into his image with ever-increasing glory. This comes from the Lord, who is the Spirit. The New Covenant is still an agreement. But now Christ has brought you back to God by dying in his physical body. He did this so that you could come into God’s presence without sin, fault, or blame. This is on the condition that you continue in faith without being moved from the solid foundation of the hope that the Good News contains. But the fruit comes from God. You didn’t choose me, but I chose you. I have appointed you to go, to produce fruit that will last, and to ask the Father in my name to give you whatever you ask for. I don’t mean to make a portrayal that seems to remove any responsibility on our part. He gave the right to become God’s children to everyone who believed in him. These people didn’t become God’s children in a physical way-from a human impulse or from a husband’s desire to have a child. They were born from God. How these two sides of God’s truth—His sovereignty in choosing us (Romans 9) and our responsibility to confess and believe (Romans 10)—reconcile is impossible for us to understand fully. But Scripture declares both perspectives of salvation to be true (John 1:12-13). It’s our duty to acknowledge both and joyfully accept them by faith. First off, I haven’t been posting much lately because I’ve been preoccupied with some other things. It will inevitably pick up again, God willing. Not that I think you’re waiting for each post with bated breath (whatever that means). I know that us bloggers are supposed to post a lot, because for some reason, that’s what people want. I’m reading the book The God Who Is There: Finding Your Place in God’s Story by D.A. Carson. I had bought a few books that are supposed to be for new Christians, should one of the people I’m praying for ever become one. Although it was recommended as such, I think this one might be a little too much. I started reading it a while ago and wasn’t getting into it. This time around, for some reason, I think it’s fascinating, as many people say everything written by Carson is. In the beginning (get it?) of the book, he spends a lot of time on the beginning of Genesis. I’ve been having a hard time lately knowing how to live and be content on a spiritual level given the various health conditions and losses experienced. I like the quote below. “He made us, and we owe him. If we do not recognize this simple truth, then,” all kinds of havoc ensues. If I’m not content, I’m “fighting against myself as well as against the God who made me.” He’s not the supreme bully (not that I really see Him that way), but the one who gives us eternal life and ‘the hope‘ we have (Titus 2:13, Hebrews 6:18 NRSV). What the Bible says about creation is what grounds the notion of human accountability and responsibility. Why should I obey God? If he wants to take me in directions that I do not like, who is he to tell me what to do? Surely I am free to choose other gods or invent my own. I can belt out the popular song, “I did it my way.” Who is he to boss me around? I defy him. Unless he made me; unless he designed me. In that case I owe him everything—life and breath and everything else, such that if I do not see it that way then I am out of line with my Maker. I am out of line with the one who designed me and with what I am designed by God himself to be. I am fighting against myself as well as against the God who made me. All of human accountability and responsibility before God is grounded in the first instance in creation. He made us, and we owe him. If we do not recognize this simple truth, then, according to the Bible, that blindness is itself a mark of how alienated from him we are. It is for our good that we recognize it, not because he is the supreme bully but because without him we would not even be here, and we will certainly have to give an account to him. Suddenly the Christian doctrine of the love of God becomes very difficult, for the entire framework in which it is set in Scripture has been replaced. To put this another way, we live in a culture in which many other and complementary truths about God are widely disbelieved. I do not think that what the Bible says about the love of God can long survive at the forefront of our thinking if it is abstracted from the sovereignty of God, the holiness of God, the wrath of God, the providence of God, or the personhood of God—to mention only a few nonnegotiable elements of basic Christianity. The result, of course, is that the love of God in our culture has been purged of anything the culture finds uncomfortable. The love of God has been sanitized, democratized, and above all sentimentalized. I love this quote and I think about this a lot. There are a lot of attributes of God in addition to love that are ignored or minimized. The greatest may be love, but God is also all of those other things. He isn’t just love. That’s not the only part of His essence. A whole other story is why this is–ignorance of the Old Testament (not that it shows God’s bad side–it shows his love as much as anywhere–but it’s almost 4/5ths of the Bible which is a lot of knowledge of God), forgetting the wrath of Jesus, not noticing the things Paul writes, being too confounded by Revelation to read it, etc., but mainly what people want to think. So, on the one hand, you do really have to trust Christ. At the end of the day, what finally commends you to God is not how hard you tried. What commends you to God is the utterly sufficient sacrifice of Christ. That’s resting in Christ. On the other hand, there are so many, many, many passages in the NT that talk of Christian life and experience as warfare. You’re a good soldier (2 Tim. 2:2). Discipline yourself (1 Tim. 4:7) as an athlete striving to win the prize (Phil. 3:14), or as a farmer who works hard in order to receive some of the reward from the vineyard (2 Tim. 2:6). “We wrestle not against flesh and blood but against the principalities and the powers of this evil age” (Eph. 6). And “I put my body in subjection so that after preaching to others I myself might not be a cast away,” (1 Cor. 9:27). Lots and lots of texts like that! So it’s not a question of God having done his bit and then you come along and do the extra bit by trying really hard. Because that suggests this little bit is abstracted from what God is doing. God has done his bit, and now it all depends on you, and we speak of cooperating together with God. It’s God and I together producing sanctification. Well, there’s a sense in which you can say that, but there’s a sense in which you must not. And if this bit that I contribute is independent of God, then it’s really quite wrong. This text says that we are to work out our salvation with fear and trembling! And yet it is God working in us, both to will and to do of his good pleasure. So this does not mean, therefore, that you back off into passivity, let go and let God, God’s doing all the struggling on my behalf. Rather, it’s precisely God working in us that empowers us, and compels us, and activates us, and motivates us, and strengthens us, in order to keep struggling. So you are mandated by Scripture to choose the right, to make right decisions, to be godly, to be self-disciplined, and all the rest of those things. Book Review: Why is God Ignoring Me? This book is a review copy sent to me by Tyndale. I thank them very much for the opportunity to review this book. The author knows pain. His wife of 23 years, the mother of four children, died of cancer. He knows the loneliness which follows something as horrific as that. Although he doesn’t go into much detail in the book, this is an author who is obviously writing as someone who is truly sympathetic with the person reading this book. Yet at the same time I don’t think he gets to the heart of the matter and I feel he is often missing connections either with what the reader feels they want or what’s most important from a spiritual perspective. A strength of the book is Biblical Teaching That Life Will Be Difficult (page 46) that’s within Chapter 3 – Our Favorite Verses. This talks a lot about the Biblical view of suffering which is really what people who feel ignored by God are going through. There is a lot of Scripture given in this chapter. He writes about how prayer isn’t always answered (or the answer is ‘no’). He writes about the Bible saying that life isn’t always going to be rosy, even some of Jesus’ prayers weren’t answered, Christians in the present time are often strengthened through sickness, trouble etc. Some of the things written about are legitimate and some are on the edge without a lot of backing from Scripture. It reminds me of the book Prayer by Richard Foster. And interestingly enough he refers to that book a lot. I gave it a very unfavorable review here on this blog. By giving God the preeminent place in our lives, we draw closer to him, and in doing so, we just might find that he’s not as hidden as we might have assumed. Concentrating preeminently on God can help promote a mind-set and atmosphere in which he can work more fully in us. Chapter 7 is what I would call spiritual (in a good way) cognitive therapy, or what we tell ourselves. This is done in a way that isn’t worldly and helps us to think in a more Godly way. We know so much more than Job ever did, especially the death and resurrection of the Lord Jesus Christ. With such a foundation, we are more than justified to trust God with those matters we don’t understand. Shouldn’t we be willing to grow and mature spiritually as we wait for our resurrection, which will place all our suffering in an eternal perspective? This would be a good place for the book to start and concentrate on. Although the author is a Christian apologist and is a solid conservative evangelical Christian I can’t recommend this book, although it may be helpful for some. I would recommend How Long, O Lord? by D.A. Carson. The title gets to the heart of the matter and even that is Scriptural. Cries of the Heart by Ravi Zacharias is also good. There are also many good books on suffering in general and trusting God like Suffering and the Sovereignty of God by John Piper et. all and Trusting God by Jerry Bridges. Westminster Bookstore does not sell this book. Jesus replied, ” ‘You must love the Lord your God with all your heart, all your soul, and all your mind.’ 38 This is the first and greatest commandment. How seriously do we take this? I know there are a lot of people who say that we love God by doing things for others etc. which is obviously important. But why does it seem to be easier for some people to “do things” than it is to get to know God better? How can we really love God without knowing Him? How can we know Him without knowing the Bible? We are in a seriously Bible illiterate Christian culture. Just the the other day I was thinking about how I sometimes get Esther and Ruth mixed up. That’s pretty embarrassing. When it comes to knowing God, we are a culture of the spiritually stunted. So much of our religion is packaged to address our felt needs–and these are almost uniformly anchored in our pursuit of our own happiness and fulfillment. God simply becomes the Great Being who, potentially at least, meets our needs and fulfills our aspirations. We think rather little of what he is like, what he expects of us, what he seeks in us. We are not captured by his holiness and his love; his thoughts and words capture too little of our imagination, too little of our discourse, too few of our priorities. This isn’t to lay a guilt trip on myself or others. Those familiar with this blog know I’m not into that. This is to spur us on to know Him better so that we can do what we were created to do which is truly fulfilling and pleasing to God so that we can live in the reality of His Kingdom instead of the veneer of this world. Repost: What Does “Grace Upon Grace” Mean? I just noticed that this has become the most popular post on the blog, most likely because of search engine activity. It has surpassed Complete List of Paul&apos;s Prayers. So I thought I’d post it again after three years. This is according to D.A. Carson (quoting the TNIV), which is consistent with what he wrote in his commentary on John, published almost 20 years earlier. John adds, “Out of his fullness we have all received grace in place of grace already given” (1:16). That is exactly what the text says—but what does it mean? It does not mean “grace on top of grace” or “one grace after another,” like Christmas presents piled up under a Christmas tree, one blessing after another. It means we have all received a grace in place of a grace already given. What does that mean? The next verse tells us: “For the law was given through Moses [which takes us back to Exod. 32—34]; grace and truth came through Jesus Christ” (1:17). In other words, the gift of the law was a gracious thing, a good and wonderful gift from God. But grace and truth par excellence came through Jesus Christ, not in the display of glory to Moses in a cave but in the display of Jesus and the bloody sacrifice on the cross. The law covenant was a gracious gift from God, but now Jesus is going to introduce a new covenant, the ultimate grace and truth. This is a grace that replaces that old grace. It is bound up with a new covenant. D.A. Carson writes about Heart Embarrassment before the Text within his article on Subtle Ways to Abandon the Authority of Scripture in Our Lives in Themelios. He’s writing about preachers, but the scary thing to me is that I could see myself as explaining some things in this way. Not infrequently preachers avoid certain topics, in part because those topics embarrass them. In its ugliest form, the preacher says something like this: “Our passage this morning, Luke 16:19–31, like quite a number of other passages drawn from the life of Jesus, depicts hell in some pretty shocking ways. Frankly, I wish I could avoid these passages. They leave me distinctly uncomfortable. But of course, I cannot ignore them entirely, for after all they are right here in the Bible.” The preacher has formally submitted to Scripture’s authority, while presenting himself as someone who is more compassionate or more sensitive than Jesus. This is as deceptive as it is wicked—and it is easy to multiply examples. Contrast the apostle Paul: “Therefore, since through God’s mercy we have this ministry, we do not lose heart. Rather, we have renounced secret and shameful ways; we do not use deception, nor do we distort the word of God. On the contrary, by setting forth the truth plainly we commend ourselves to everyone’s conscience in the sight of God” (2 Cor 4:1–2). After reading this, I hope I don’t. The rest of the article is excellent, including a section on Too Little Reading, Especially the Reading of Older Commentaries and Theological Works. It’s hard to imagine anything by him as anything less. What Does “Grace Upon Grace” Mean? Here is a repost from a couple of years ago that seems to be popular. This is according to D.A. Carson (quoting the TNIV). This is consistent with what he wrote in his commentary on John, published almost 20 years earlier. Is there another interpretation that you or another scholar prefer? I don’t know if I’ve ever written ‘must read’ other than I feel that the book Knowing God is a must read for every Christian, especially those somewhat new (advanced beginner? ), as far as I’m concerned. I found a blog post titled Bible Ignorance at Reformation21 Blog to be one of the best posts I’ve ever read. It’s aimed largely at ministers and students of theology. I’m not pointing it out for ministers; I think this applies to any student of theology, which is all of us. You can just stop reading here and go there if you’d like. A few years ago I made a commitment to make sure I read the Bible every single day. * What’s being said in this article makes that seem like nothing, not that I’m minimizing the importance of it. It’s nothing new; nothing we probably haven’t read before, but it really hit me this time. Matthew Henry says to pray using the language of the Bible. D.A. Carson urges us to imitate Paul in our praying. Comparing my worldly prayers to Paul’s really changed how and what I pray for. This can’t happen without knowing the Bible. Scripture is so deep and multi-faceted, not just because of what’s written, but because the Holy Spirit opens our eyes to more and more of it the more we read and understand it (Ephesians 1:17, Hebrews 4:12). If we’re born again and the Holy Spirit resides in us, we should be glad to spend time in Scripture. If we don’t feel that way, we can pray for God to enable us, and he will do that for us–this being his will for us (Joshua 1:8, Psalm 119:9-11), as we strive to spend more time (Matthew 21:22, Psalm 37:4, 1 John 5:14, Philippians 2:12b). I often think about how much time I spend reading the Bible versus how much time I spend reading books and articles. It’s difficult to know how to balance it because the books all help to know God better through better understanding of Scripture. *If I should forget a day for some strange reason, which I’ve done a few times in the past, God is in no way displeased with me and I don’t feel guilty–just a little silly to forget something so important. I don’t read twice as much the next day to make up for it, unless I’m on a reading plan. This doesn’t happen anymore. Just thought I’d point that out so that it doesn’t sound like a legalistic or works oriented thing. OK, so I haven’t read every book in the world that are supposed to be for new Christians. The one mentioned below is by far the best one that I have read. If you’re short on time, skip to the last paragraph and the quote below it; otherwise, you can read about a few other helpful books too. I have seen lists of books for new Christians written by bloggers. I think they almost always overshoot. They recommend fantastic books like Knowing God by J.I. Packer, which is one of the best popular level, contemporary books on God ever written (again I realize I haven’t read all of them), but I know from experience that there are Christians who’ve been saved for decades who still need milk and can’t handle this book. (That’s another subject.) I think many Christians, especially those who are well read, forget what it’s like to be new. This is that ‘one book’ that I think every Christian, or certainly everyone in the early stages, should read. But how many times have you read that? Everybody has their opinion. At one time I was on the lookout for books that fit this category. I looked at The God Who Is There by D.A. Carson, which is a great book aimed at newer Christians. See posts where this book is mentioned. I read this recently and learned a lot from it, but I think it might get to be too much for new Christians. He’ll start out explaining what the gospels are, but then goes on and gets a little ‘thick’. It’s really a great book though for an ‘advanced beginner’. He starts out writing a lot about Genesis, then goes to John, then to Revelation (but not everything in-between). I’m not sure if he is one to write a book for new Christians. He knows like 39 languages and can quote book, chapter and section from Calvin’s Institutes like he wrote it himself. As a tangent–sometimes I tend to exaggerate a little. I think he only knows about 29 languages, or maybe 7. I also looked at Basic Christianity by John Stott. The book is true to its title, but I don’t know if the content, including the tiny typeface of the edition I have, is quite suitable for most new Christians these days. Maybe it was when he first wrote it 50 years ago. Then I remembered the one I read when I was a new Christian. It’s upstairs among some really old books that I don’t have on my regular bookshelf. Turns out that the book with the red cover and yellow title has been reprinted over and over in that span of 30 years and now has a nice new cover. You can’t go wrong in buying The Fight: A Practical Handbook for Christian Living by John White, for a new Christian. I’m not sure why I haven’t seen it mentioned. Maybe the title is off-putting. But people are obviously buying and reading it, and for good reason. This post is basically an advertisement. I looked through my Amazon Associate site’s reports to see what the best selling books are among this blog’s community. Whenever there is a link to a book here, it’s through my Amazon Associates account where I earn 4%. I should be making this more clear. The cost to the customer is the same of course, or I wouldn’t do it. I have to be thrifty myself. I don’t make much at all since books aren’t exactly a high priced item, especially with Kindle books (see all of the Fire and E-reader products there, like the new Paperwhite) and used books. I have a link in the right column for those who want to buy other items through it to help me out (along with two other bookstores–which is OK with them), which I’m very grateful for. I read on ProBlogger that one way to make some sales is to post the top products sold on one’s blog. This shows what might be good to buy because of popularity. This is also a service to the readers. The next one, The God Who Is There: Finding Your Place in God’s Story coincidentally (providentially?) also by D.A. Carson, may be second partly because somebody bought a lot of them. But anything by D.A. Carson is well worth it. This is a more basic book of who God is and how he works. I included this in a post titled Three Books For New Christians. The Valley of Vision: A Collection of Puritan Prayers and Devotions is something that can be found on the Puritan Prayers page. I have some of the prayers on that page and formatted them to be printed out. I pray through one of them once a week and never get tired of them. So two of them are by D.A. Carson and two of them are on prayer. The one in fourth place is also on prayer but it’s one I don’t endorse, so I chose not to list it. There are a whole lot of others lined up in fifth and sixth place, etc. Someday I may list my favorites. I also have a Reviews page with links to all of the books that have been formally reviewed here. 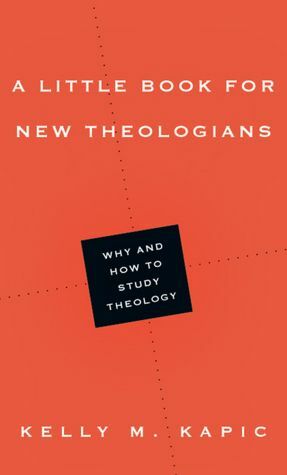 This came to my attention via Challies.com — A Little Book for New Theologians: Why and How to Study Theology by Kelly M. Kapic. In a previous post titled Three Books For New Christians, I was looking for books that would help people start learning about the Bible and theology in a way that’s easy to understand and not look like a daunting task. I bought one of the books I found, D.A. Carson’s The God Who Is There: Finding Your Place in God’s Story, and have started to read it myself–a chapter here and there–but it may be just a bit much for someone in the target group I’m thinking of. This new book, at 128 pages, might be one to consider. Click the book image and read the Editorial Reviews to get a feel for it. There are no Customer Reviews yet. If you happen to read it, let me know what you think. Prepared In: 1.905 sec. w/ 66 queries.